It usually takes me two listens to determine what I think of an album. The great ones usually convince me with one run-through, though. 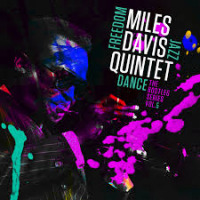 Upon popping Workin' With the Miles Davis Quintet into the stereo, I knew from the opening notes of "It Never Entered My Mind that I was in for something special. The rest of the song and, subsequently, the album was mere confirmation. 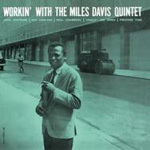 Workin' is culled from the four albums worth of material recorded by Miles' then-current quintet during two sessions in 1956. The fact that there were no alternate takes makes this masterwork all the more incredible. The quintet included Miles, John Coltrane, Red Garland (piano), Paul Chambers (bass) and Philly Joe Jones (drums). 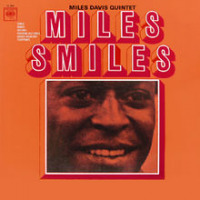 Miles later expanded the core of the quintet to a sextet to record Kind of Blue, another, better-known masterpiece. In fact, the rhythm section of Jones, Chambers and Garland sounds much more dynamic here than the one with Bill Evans and Jimmy Cobb on Kind of Blue. Workin' also shows a more personal side of all of the musicians involved. 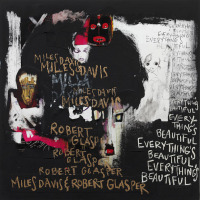 Miles especially is in rare form, letting his full emotion show throughout the record. The aforementioned "It Never Entered My Mind begins with Garland's beautiful vamp. Miles enters soon afterwards, wrenching the listener's heart with his Harmon mute. Jones' brush work keeps the ballad firmly wrenched in the jazz tradition. Garland solos next, taking a more classical approach than Miles does, showing another way to interpret this ballad. Towards the end of Garland's solo, Chambers adds a few notes, just a few, that are pure jazz, and you can't help but smile. Jones' swift intro to "Four is a jolt, but it's perfectly placed, the first sign that this record mimics a live date. "Four is a full band tune, and interactions between soloist and rhythm section are rampant. We hear Coltrane here for the first time, the yin to Miles' yang, overtly bluesy yet strangely upbeat. He captures the essence of the chord changes, finally giving way to Garland and another Miles live staple, the trio performance. Throughout the album, whenever Garland solos, the rhythm section jumps to the foregroundand while it is Garland who is soloing, it is very much a collective performance. The rest of the album is of the same quality. 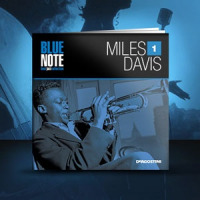 "Perfect notes are rare in an improvised music such as jazz. On Workin', however, those moments of perfection are abundant. One cannot escape the feeling that "this is what jazz is all about whenever Miles or Trane hits the note that brings everything together. The most incredible quality of Workin' is that by today's standards this is old, even old-fashioned music, and yet it sounds as fresh now as I'm sure it did upon its release. Recommended to anyone who calls him or herself a fan of jazz. 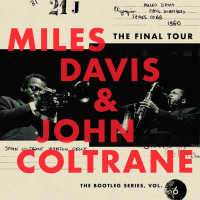 Track Listing: It Never Entered My Mind; Four; In Your Own Sweet Way; The Theme (Take 1); Trane's Blues; Ahmad's Blues; Half Nelson; The Theme (Take 2).